"'It doesn't get better.' To us, that phrase nailed one of the essential truths, maybe even the essential truth, about being stuck at an outpost whose strategic and tactical vulnerabilities were so glaringly obvious to every soldier who had ever set foot in that place that the name itself -- Keating -- had become a kind of backhanded joke." In 2009, Clinton Romesha of Red Platoon and the rest of the Black Knight Troop were preparing to shut down Command Outpost Keating, the most remote and inaccessible in a string of bases built by the U.S. military in Nuristan and Kunar in the hope of preventing Taliban insurgents from moving freely back and forth between Afghanistan and Pakistan. Three years after its construction, the army was finally ready to concede what the men on the ground had known immediately: it was simply too isolated and too dangerous to defend. On October 3, 2009, after years of constant smaller attacks, the Taliban finally decided to throw everything they had at Keating. The ensuing 14-hour battle-- and eventual victory-- cost 8 men their lives. Red Platoon is the riveting first-hand account of the Battle of Keating, told by Romesha, who spearheaded both the defense of the outpost and the counter-attack that drove the Taliban back beyond the wire, and received the Medal of Honor for his actions. The first time I heard about this battle and outpost Keating was from a book titled “The Outpost” by Jake Tapper. In that book he did go into the battle but mostly you got the history of the outpost, and the surrounding outposts plus the fallout afterwards by the higher ups. 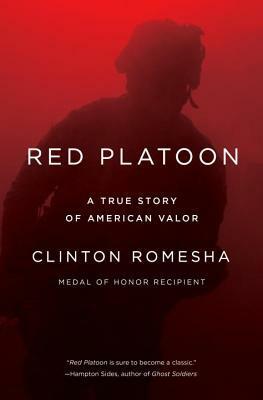 This book is by Clinton Romesha who was awarded the Medal of Honor after this battle. This is not about any Special Forces members but about young men from high school and a few from college that were part of the 4th Infantry Division 61st Cavalry Regiment. He explains the weapons they had for protection and he goes into the back of the soldiers he was with. He also explains what they were up against in the Taliban and how they planned their daily attacks, but this day it was different at odds of nearly 6 to 1 in favor of the Taliban you get firsthand account of how the battle was planned out. How regardless of how hopeless it sounded at times these young men continued to fight and still during this 13- 14 hour battle men were going out in harm’s way to get the wounded and bring them to the make shift medical unit. 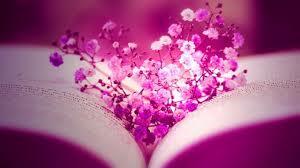 You get a firsthand account of all of the action and you feel like you are right there. You feel is pain when friends are killed 8 would die that day, but they went out and got the soldiers this being important for them to not let the Taliban get a hold of a body. You will not get any political views or anything else other than just about the group of men for that is what they are that were supposed to dismantle the camp, but when all was said and done it took a couple of 500 lbs. bombs to do the job. Overall words cannot describe what this book is about, it is a fantastic story. I got this book from netgalley. I gave it 5 stars.